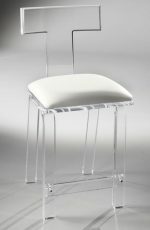 Muniz crafts high-end lucite stools in Miami, Florida. 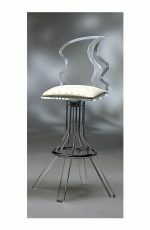 Since 1965, Muniz’s sculpted stools have been sought-after works of art. 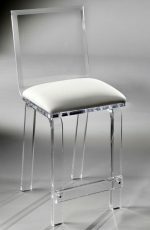 They make a bold, sophisticated statement in the home, workplace, hotel/restaurant or event space. 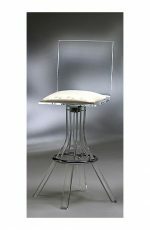 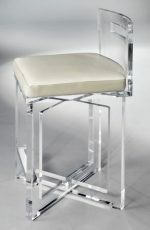 Muniz bar stools are made of high quality, crystal-clear lucite (acrylic) and hand-finished to a perfect diamond glow. 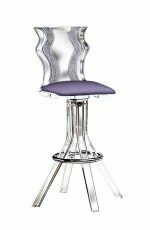 Their clarity means they go with every color scheme, and even better, they amplify the colors in a room. 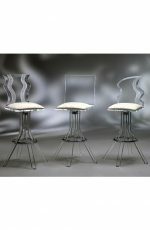 Muniz stools are customizable with a gorgeous spectrum of cushion fabrics. 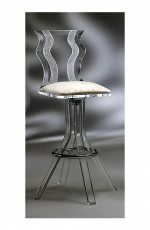 Every bar stool, standard or custom, is sanded and polished by hand for years of beauty. 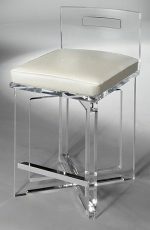 Muniz bar stools are the perfect mix of elegance, sophistication, and versatility.